See All Open Houses This Weekend! 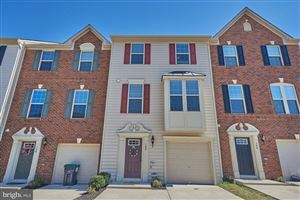 Call 540-834-6924 or email today for full MLS report for each open house this weekend in Fredericksburg and Stafford VA. Whether you're just starting your house hunt or are already deep in the search, open house​s in Fredericksburg, Stafford VA, ​can be hugely valuable. Make sure you're maximizing your Sunday trips with these six must dos. 1. TAKE PICTURES AND NOTES - Again, it's easy to forget what you saw where. The provided takeaways are a great start, but help yourself remember what you do—and don't—like about a place. 2. TAKE THE TAKEAWAYS - That extra paper may seem like a waste, but once you've seen more than a few houses, you'll need something to help you keep them straight. 3. CHECK OUT THE NEIGHBORHOOD. Spend some time walking around the house. Are there close neighbors? What's the traffic like? Remember, you don't just buy a house—it's the whole neighborhood. 4. TALK TO THE SELLER'S AGENT - Ask about recent updates to the house and see if they've done any inspections yet. Find out if the seller has a timeline. The more you know about their needs, the more easily you can work around them—and put together a tempting offer if you love the home. 5. TAKE YOUR AGENT. Some buyers may want to check out places themselves, but it can be helpful to have your agent along for the ride. It helps them get a better sense of what you're looking for, and they can get helpful insights from the seller's agent if you're interested.